"You've got to be KITTEN me right MEOW" (oh, I'm laughing at my own jokes as I type this). To begin, take your sharpie and outline the shape of a cat. Carefully begin to cut the shape out using your Xacto Knife. You can also do this with scissors, but it is much harder in my opinion. 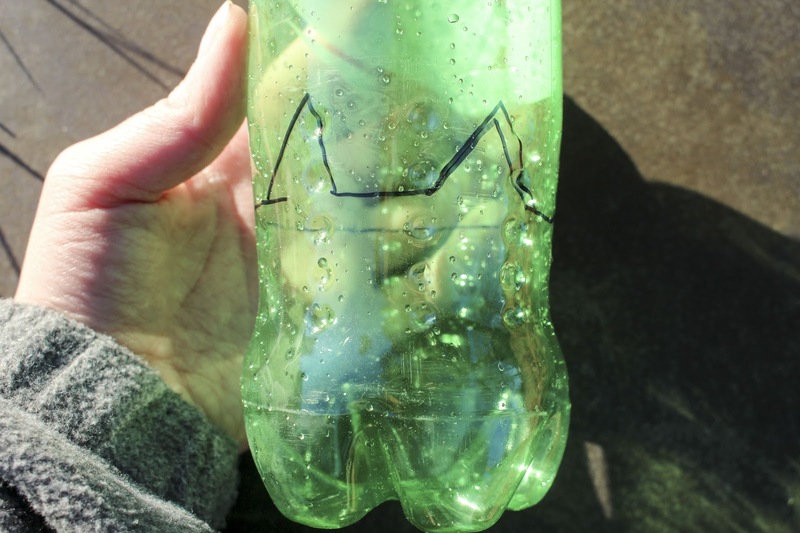 If you are using scissors, I suggest pressing the bottle together as much as possible and cut a small slit into the bottle. This will allow you to insert your scissors to cut the plastic. Next Using your white paint, cover the entire cat. This takes roughly 3 coats. 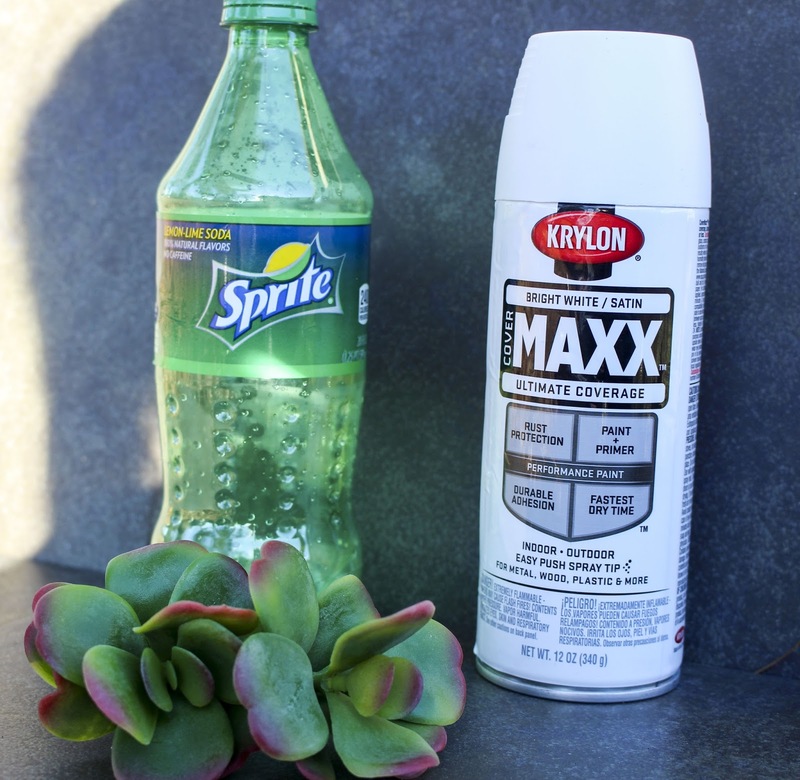 Spray paint can also work, but if it is cold outside you might have some issues (I did so I switched to acrylic paint.) 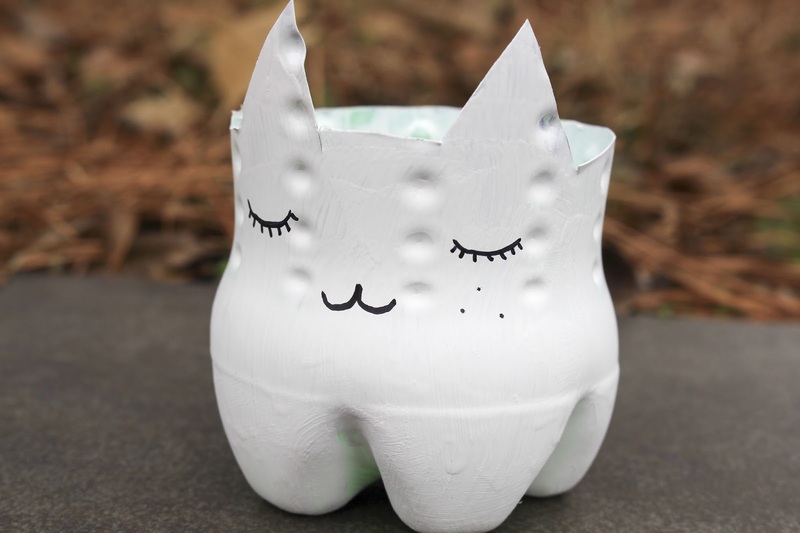 Once the paint is completely dry, use your sharpie to draw the whiskers, mouth, and eyes onto your kitty. 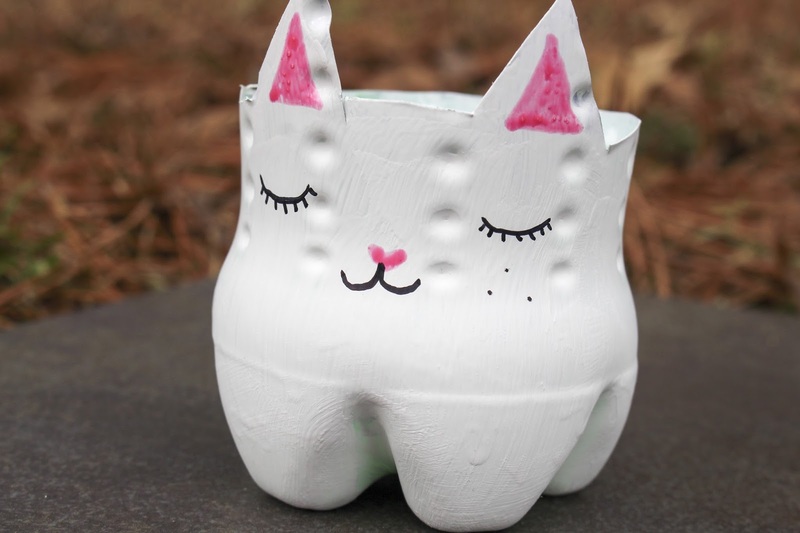 Using your pink paint, draw a little heart for the nose. 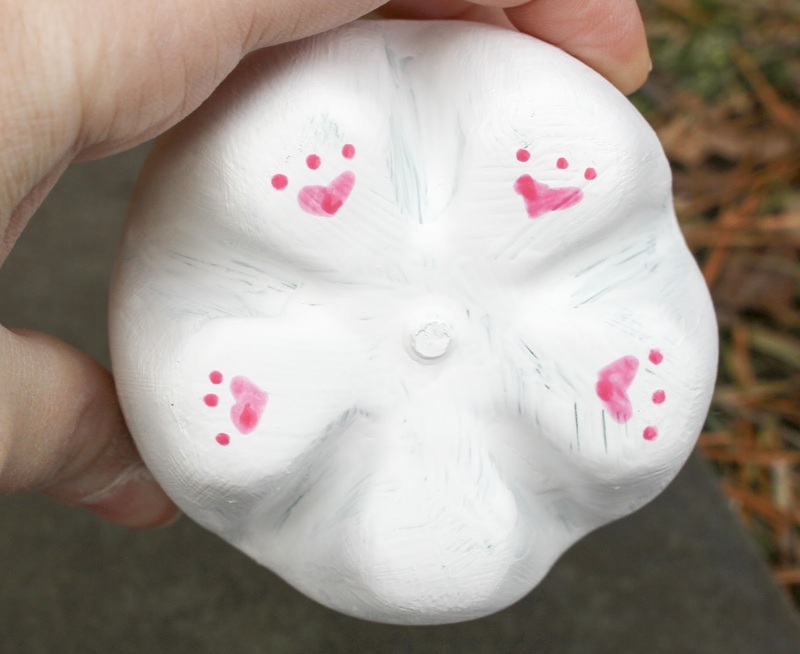 To add an extra dash of cuteness, take your pink paint and put little paw pads on the bottom of the planter. 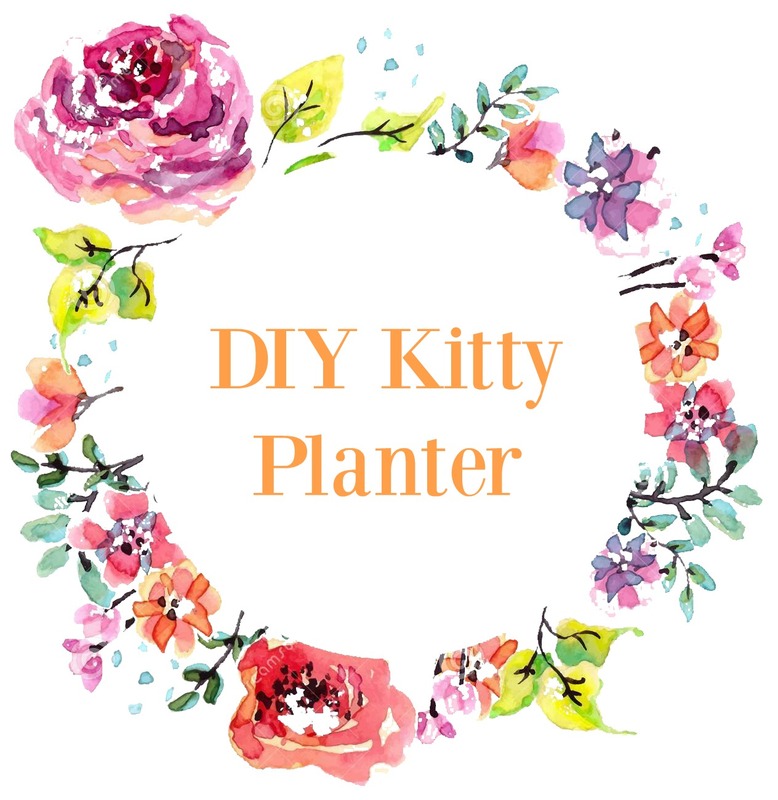 Finally, place either your real or fake plant into the planter. 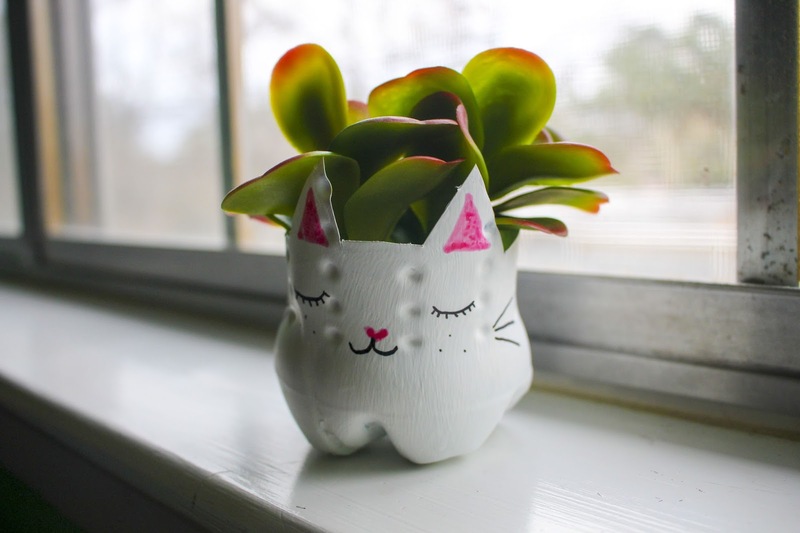 If using fake, be sure to avoid hot glue to make the plant stay because this will alter the planter. 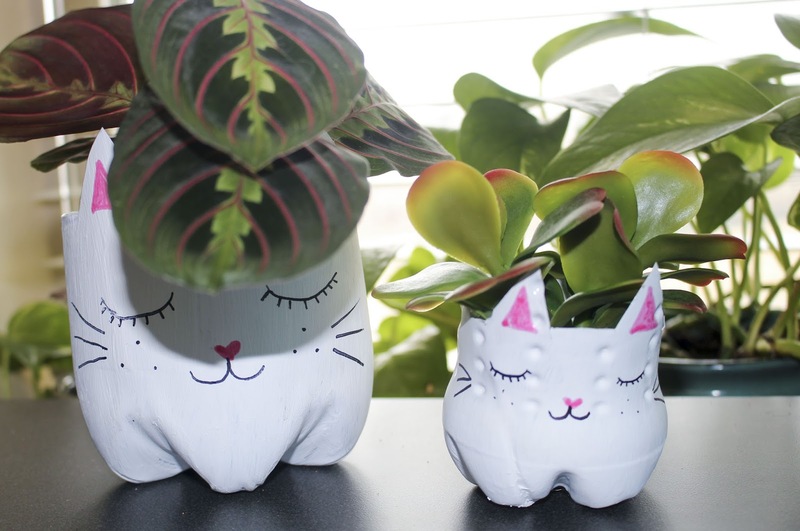 Now you can have your plants in style! 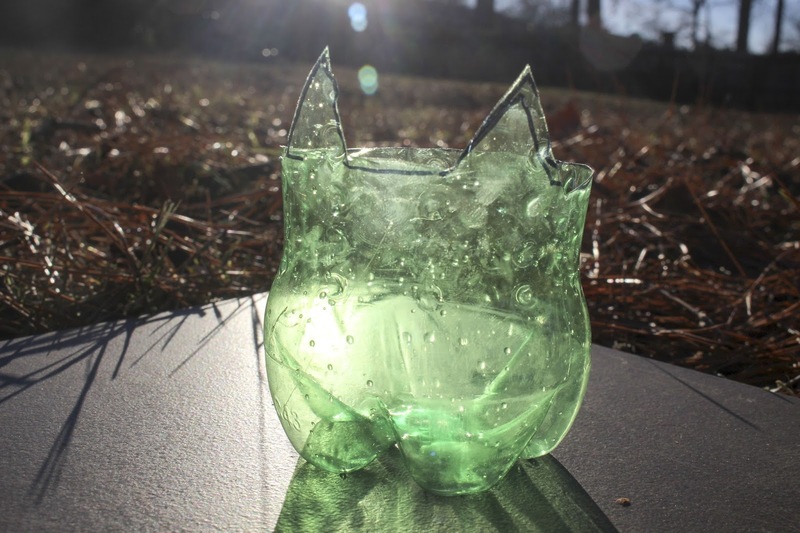 Of course, this DIY can easily be modified to be a bunny or any other animal you wish! Be creative!